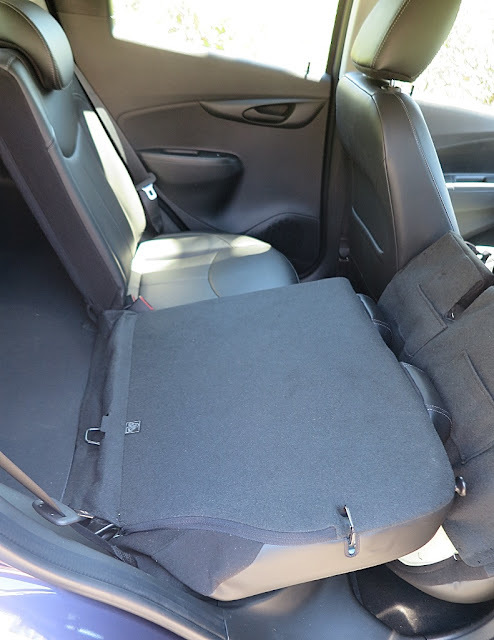 There are several major impediments to packing enough stuff in your car. Of course it depends on whether you’re going away for weeks on the road; just travelling to a different city; a long weekend with friends or relatives; or, and much more interesting, just the stuff you need for a dirty weekend. But, if you’ve got a micro car, like say the new Holden Spark, then you have to think v-e-r-y carefully about the absolute basics. Of course, you bought a Spark because most of your daily driving is in the city, from home to work, or just going out at night with friends. And let me tell you, it's a surprisingly roomy car for four adults! 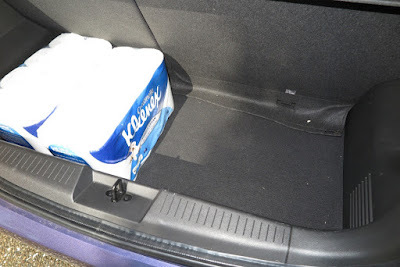 Now, to reveal how much space you have, I have placed two 16-packs of Kleenex toilet tissue in the trunk. 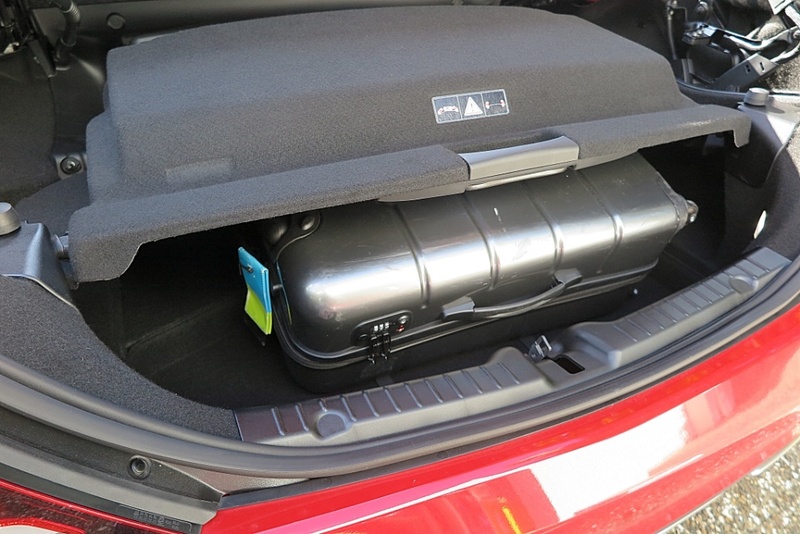 Okay, so you won’t be packing just the trunk for a six week sojourn on the nation’s highways. However, this is one very clever design from GM. If you do need to move something like a 55 inch flat screen television, or a load of mulch from the garden store, then you’re in luck. The GM designers really had their heads together when they specc’d this car. Unlike many small hatchbacks, where just the seatbacks fold forward (then they rest on the squabs, so there’s not a completely flat floor), the Spark design whizz kids allowed the seat squabs (the bit you sit on) to lift forward and down, and fold to a vertical position, so the seat backs can be dropped to form a completely flat load space. Brilliant! 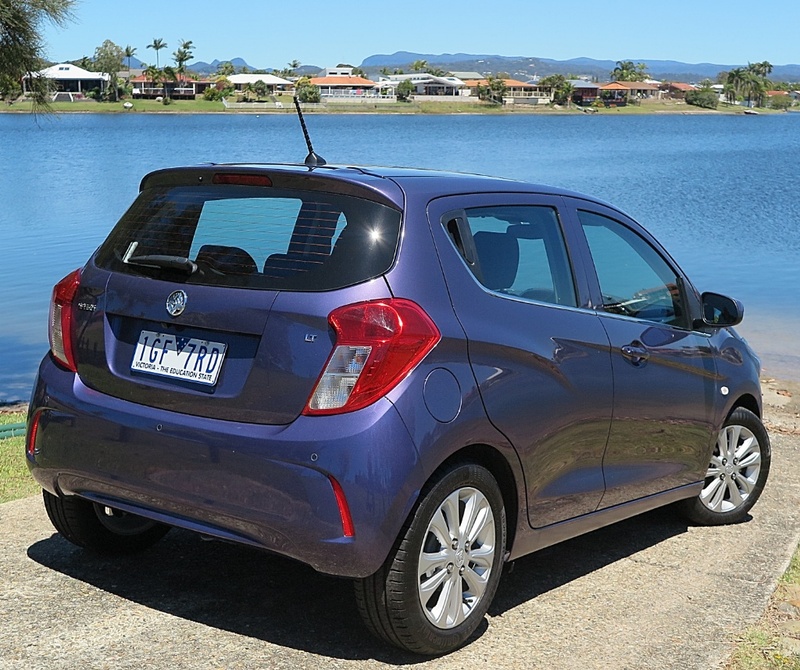 Here you have a smart little city car, with real load carrying flexibility. Well done GM, that’s lateral thinking. 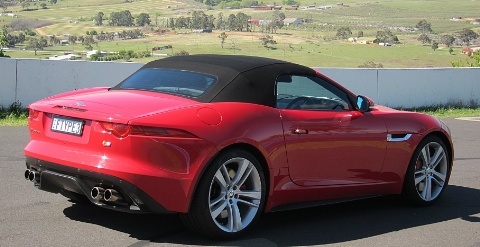 Next we move to a hot European sports car – the Jaguar F-type convertible. God, it’s a beautiful car, And it goes like greased lightning, but here’s where things get really silly. If you opt to carry a really, truly spare tyre, then you’d better be packing for a dirty weekend. Here’s my packing list for just such an occasion. I haven’t bothered to show a ladies packing list, because I’m just a guy, and what would I know about that? The Jaguar F-type coupe fares a little better. Only because it has a roof, and that means a hatchback, but my one experience of using this car during a recent U.S. vacation, shows it has limits too. 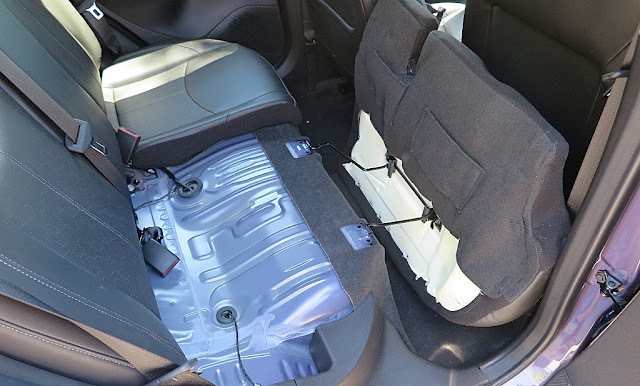 We managed to shoehorn our two 62cm ballistic nylon suitcases in the rear load area; but my wife had to nurse both our cabin bags for the duration of the trip, because there simply was no more space – not behind the seats, nor on the floor under our feet! Now, metal, folding roof sports cars come in for a lot of criticism because once the roof is lowered, it takes up most of the trunk space. However, I’ve had a lot of luck with two cars in particular, because of intelligent design. 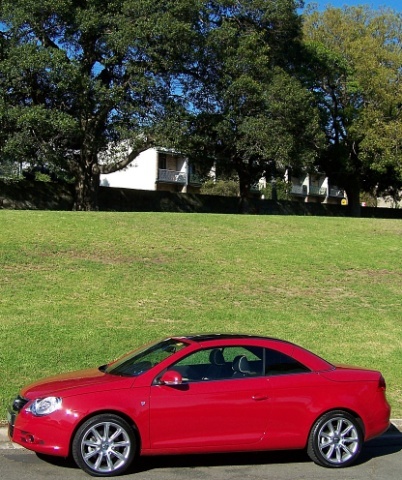 First, Volkswagen EOS. 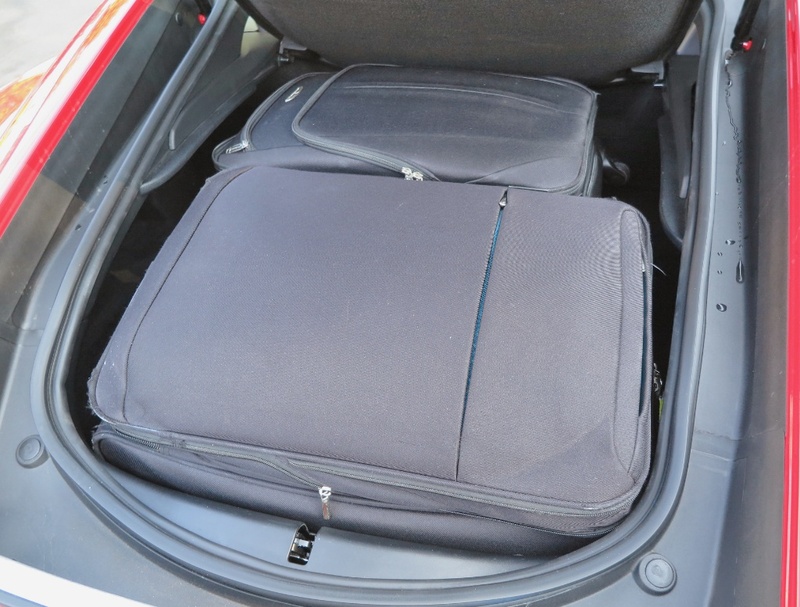 Really, the only thing which saved its bacon, was the fact that VW ‘designed’ two identical accessory suitcases, which ‘just’ fit in the space under the stowed roof. They weren’t much bigger than aircraft carry-ons, but they did fit enough luggage each for a one week holiday. 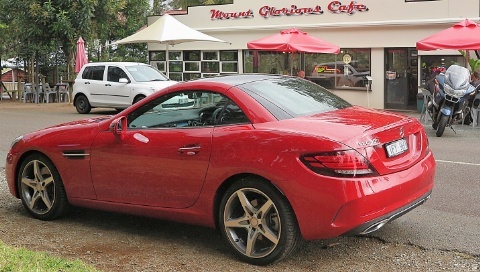 But, in this class of car, one stands out for me, and that’s my recent experience with the latest Mercedes-Benz 300 SLC sports coupe. 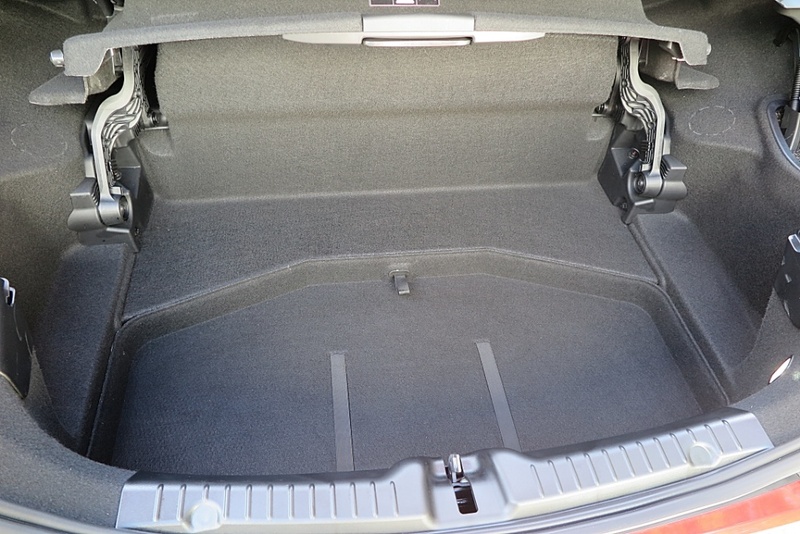 Not only did I LOVE driving this car, but when we came to measuring the available trunk space we were pleasantly surprised. 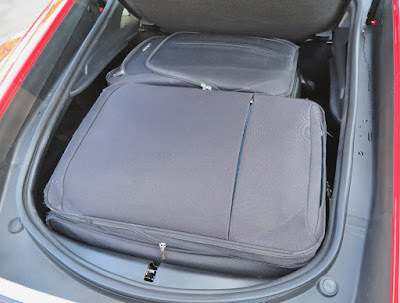 Not only was it possible to get a 62cm suitcase in the trunk (with the roof stowed), but there was more than ample room around the suitcase for four decent sized soft bags, plus assorted items like two suit carriers. In this photo, the roof is not stowed, but it sits on top of this moulded cover. The other neat thing was that the designers carved out spaces in every possible spot, including a recess in the floor which accepted quite a few small wetpack sized bags, or a suit carrier folded in half. Yes, packing is an art form. To some people it comes naturally; to others it looks like a black art and they become instantly hopeless.